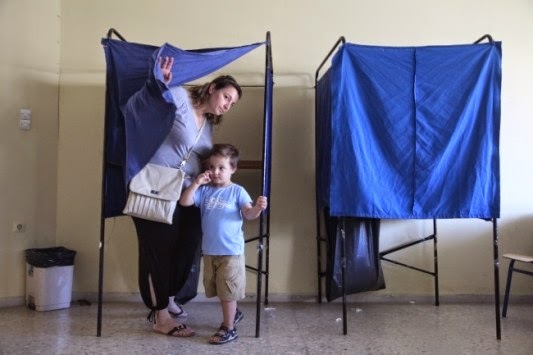 On Sunday, 25 January, the Greek people will head to the polls in one of the most crucial elections in the history of Modern Greece. It is almost certain that in these elections, SYRIZA, one of the parties of the traditional left, will be the winner. However there is one crucial question, will SYRIZA manage to form a majority government or will it be forced to form a coalition? SYRIZA is a left wing party, which in recent years has increased its political power due to the harsh austerity measures enforced on the citizens of Greece. It is considered to be the party to win the Greek elections. Alexis Tsipras is SYRIZA’s leader. At the age of 40, if his party wins the Greek elections, he will become Greece’s youngest Prime Minister to date. He has stated in no uncertain terms that he will not pursue the current government’s strict austerity measures and that he will repeal the Memorandum imposed by the Troika. Tsipras’ main opponent is the conservative New Democracy party whose leader is the current Prime Minister Antonis Samaras. The New Democracy party has a long legacy in Greek political history. Some of its political figures such as Constantine Karamanlis, Evangelos Averoff, George Rallis, Constantine Mitsotakis, Miltiadis Evert and Kostas Karamanlis, nephew of the party's founder, have marked Greece’s modern political history. Much of New Democracy’s percentage points have been lost because of the austerity measures it imposed as the ruling party. Currently in second position, New Democracy may need to change its leadership if SYRIZA wins the Greek elections by a strong majority. The party currently forming a coalition government with New Democracy is thesocialist PASOK party. A long - standing Greek political party, whose long periods of rule have contributed to its gradual deterioration. The party was founded by Andreas Papandreou (1919-1996) and its current leader is Evangelos Venizelos, also vice president in the current Greek government. PASOK is low in the ratings shown by current polls. Finally, the Greek Communist party, KKE, completes the outlook for the current political situation surrounding the Greek elections. KKE is one of the more traditional left wing parties with Dimitris Koutsoubas as its leader. Opinion polls show that KKE will gain between 4 and 5 percentage points in Sunday’s elections. Those were the traditional Greek political parties most likely to be ahead in this Sunday’s Greek elections but one must not overlook the rise of neo-Nazism and the extreme-far right party Golden Dawn. Despite the fact that its party leader Nikolaos Michaloliakos is in prison and many of its MPs in police custody on charges for forming a criminal organisation Golden Dawn still holds a relatively high percentage position in the polls. The party most likely to engage in battle with Golden Dawn is the newly formed centre party, ‘To Potami’ (literally ‘The River’) lead by journalist Stavros Theodorakis. The party, barely a year old, is looking to gain votes from those disappointed in the two Greek traditional parties, New Democracy and PASOK. 1) The Independent Greeks party is a stone’s throw away from the necessary 3% needed to enter the Greek parliament. Its leader, Panos Kammenos, a previous New Democracy member founded the party which did surprisingly well in the last elections. The Independent Greeks is considered to be acentre-right, anti-Memorandum party. It is widely said that if it wins the battle for parliament it will form an alliance with Tsipras’ SYRIZA, with the only problem being that the two parties do not fully coincide ideologically, especially on national issues. 2) The Socialist Democrats Movement was founded by the son of the founder of PASOK and former prime minister, George Papandreou. This party was the one of the reasons for PASOKs breakdown. Despite being barely a month old, it was established on the 3rd of January 2015, Papandreou’s party is willing to give all it takes in the battle for a seat in parliament. Nevertheless polls show that this will be a very difficult battle for The Socialist Democrats Movement. 3) Fotis Kouvelis’ Democratic Left party will probably suffer the same fate on Sunday’s battleground. The Democratic Left, which was founded in 2010 by members of the current SYRIZA party, defines itself as a left wing party and is clearly in favour of Greece’s continuing EU membership. It is worth noting that it was part of the New Democracy – PASOK coalition government for a short period but it withdrew from the coalition when the closure of public broadcaster ERT was decided.